Cooking for Chemo …and After! Lesson 1: What is Flavor? Chef Ryan Callahan is an award winning author and chef. He is the author of Chef Ryan's How-to-Cook Cookbook, Cooking for Chemo ...and After!, Cooking for Kids with Cancer, and Chef Ryan Callahan’s Tasting Journal. Chef Ryan won a 2016 Gourmand World Cookbook Award (Best Health and Nutrition USA) for his ground-breaking book, Cooking for Chemo ...and After! Chef Ryan Callahan is a hospitality industry veteran with over 15 years of hands-on culinary experience in the kitchen and front of house. When he isn't cooking, eating, talking or thinking about food you can usually find him nestled up with some manga or playing video games on his computer. 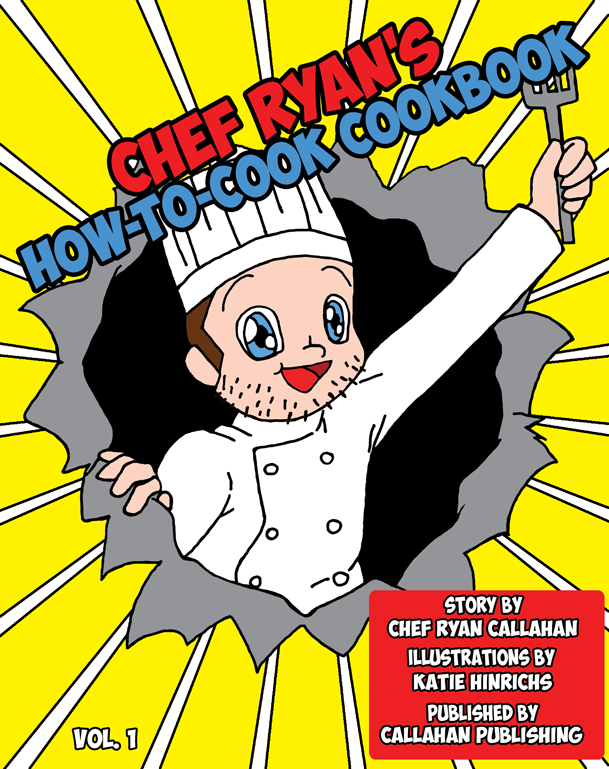 Chef Ryan's new book is now available! Over 400 pages, and complete with over 125 colorable images! Chef Ryan is a 2x Gourmand World Cookbook Award Winning Chef!